Previously known as Isle of Wight Masters Swimming Club and before that Sandown Masters, which was established in the early eighties by the late Vivienne Cherriman and her husband Leonard. Both were well known for their enthusiasm and success in masters’ swimming, Vivienne achieving Masters swimming records until well into her 80’s. 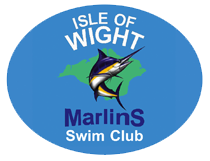 Sandown Masters continued until it became an all-island club, Isle of Wight Masters affiliated to the ASA in 1996 which gave swimmers a corporate identity. This was perfectly timed for the World Masters Championships being held that year in Sheffield. This was the first time they had been held in the UK and a team of 9 Island masters took part, all smartly kitted out in our new green shirts. Master swimmers from all three Island swimming clubs, continued to train at Sandown, West Wight and Seaclose, several also regularly swimming together at Medina Leisure Centre once a week. In the following two years, the club won the Hampshire County Masters trophy for highest placed club at the Championships held in Basingstoke. In 1999 it was decided that the club should run a small, friendly Open Meet at the Heights Leisure Centre. Now in it’s 14th year, the meet has become one of the most popular on the local circuit and regularly attracts around 150 competitors from all over the country and the Island, and also abroad. In recent years, we have “acquired” an extra annual task, that of running the Shanklin Town Regatta “Pier to Pier” race across Sandown bay. Appropriate perhaps, since so many Isle of Wight Masters enjoy sea swimming. Another 100 or more aspire to this event which requires a great deal of work by the committee to ensure it is both fun and safe. Membership of the club has remained steady, some being resident on the mainland but with island connections. We look forward to the many more years of “Friendship, Fitness and Fun”, thus living up to the aims of masters swimming. British Masters Record at the Heights meet in 2000 : Gordon Newman 80-84 years 50m freestyle 40.12s. World Masters Gold Medal Christchurch, NZ in 2002 : Joan Kidd 75-79 years 50m breaststroke 56.09 as well as many silver and bronze medals at World and European Masters Championships. As a club we have won numerous medals in long distance Postal events and the Swimathon charity swims. 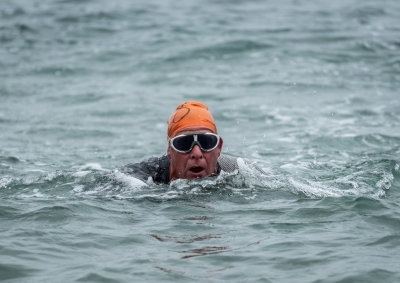 Several members have swum across the Solent from Southsea to Ryde, some several years running: Gordon Osborne, Duncan Heenan, Mike Hardy, Barney Miller, Jane Dodd, Jenny Ball, Lindsey Shenton, Rosemary Johnson, Peter Snashell, Charles Ambler and Ian and Ruth Butler. Charles also holds the record as the oldest person to achieve this at the age of 84. Many members have also swum the Solent from Hurst Castle to Colwell Bay, although a shorter route the tides are known to be challenging. Award of the Cherriman Trophy in 2008 for services to Masters swimming, including work at local, County and Regional levels to Jenny Ball. The award is made annually by the Cherriman family in memory of their parents, who were pioneers for Masters swimming in Britain. Duncan Heenan swam the English Channel solo in 1988.